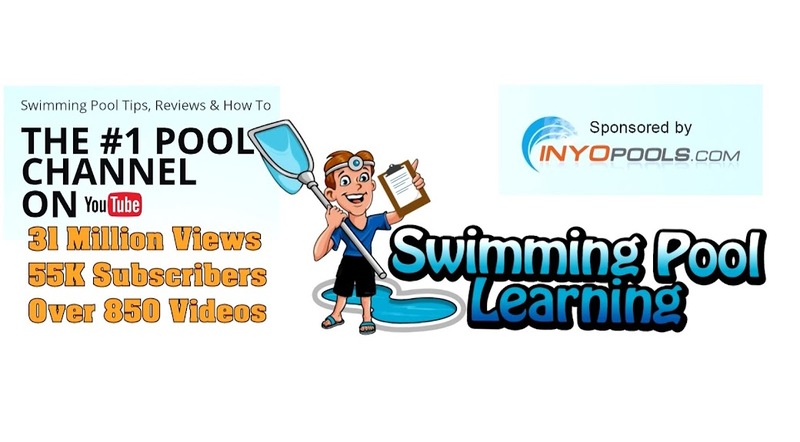 Swimming Pool Tips & Reviews: Prevent Your Pump From Getting clogged up with the NEW Hole in One Basket! Prevent Your Pump From Getting clogged up with the NEW Hole in One Basket! 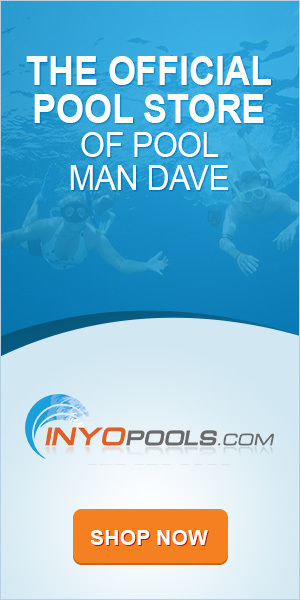 I am proud to announce my first pool product! The Hole in One Basket! It took about 3 years to bring it to the market, but I think you will see the need for the product and really appreciate how well it works. The Hole in One Basket: Keeping the Flow with the Hole in One Basket! The Hole in One Basket solves the problem of your pump basket clogging up with debris when you attach a Suction Side Automatic Cleaner at your skimmer. The idea is simple. The hole in the bottom allows the cleaner hose to slide through the basket and connect to the skimmer line. All surface debris is trapped in the Hole in One Basket just like a standard skimmer basket. A simple solution to a big problem. Keep the flow. You would use the same skimmer adapter or regulator that came with your cleaner. So, installation of the Hole in One Basket is easy. No complicated adjustments to get the right fit. No Vacuum Plates to adjust or install. Just line it up so that the hole is over the automatic cleaner’s skimmer adapter and put the lead cleaner hose through the hole. 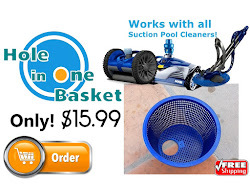 The Hole in One Basket is designed to work in an in-ground swimming pool where you have a Suction side Automatic Cleaner connected at the skimmer. The design is very simple yet effective. The basket has a hole in the bottom that is designed for a 1 1/2″ Automatic Cleaner hose to slide through allowing you to retain the function of a skimmer basket while connecting your cleaner at the pool skimmer. 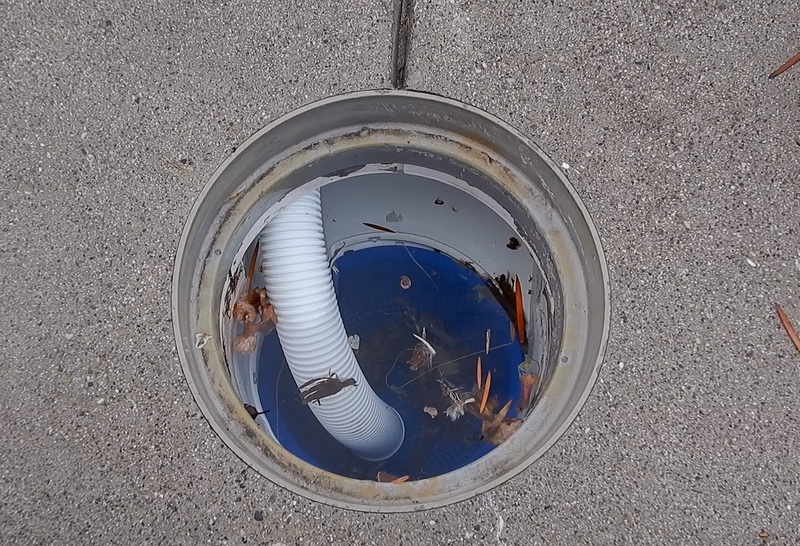 Without the Hole in One Basket debris will flow freely into the pump basket since you need to remove your existing skimmer basket to connect the cleaner to the suction hole at the bottom of the skimmer. You can’t connect your cleaner without completely removing the skimmer basket. So, you would connect your Suction Side Cleaner with the included skimmer adapter as usual, but the Hole in One Basket will function as if your pool’s skimmer basket is still in the skimmer. Turn off the pool pump. Insert your cleaner’s skimmer adapter as per the cleaner’s instructions. 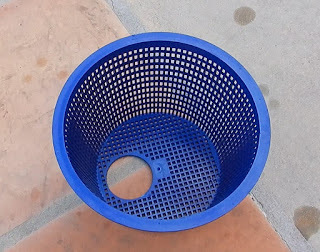 Place the Hole in One Basket with the hole in the basket over the skimmer adapter. Feed the first cleaner hose through the skimmer over the weir gate. Place the cleaner hose through the hole in the basket and connect it to the skimmer adapter. Turn on the pool pump. If there is too much suction going to the cleaner turn off the pump. Remove the Hole in One Basket. Adjust the cleaner’s skimmer adapter per the owner’s manual to reduce the cleaner suction and increase skimmer suction. Install the Hole in One Basket and Cleaner Hose. Turn on pump and check cleaner suction and speed again. Use these same steps to increase cleaner suction if it is moving too slow. The Hole in One Basket uses a simple design which allows you to run your suction side cleaner from your skimmer without worrying about your pump getting clogged with debris. It eliminates the need for complicated vacuum plates and Vac Mates. It is a simple solution for a complicated and annoying problem – how to connect a cleaner to your pool skimmer and have the pump run effectively without a skimmer basket trapping the surface debris. Constructed from very strong plastic with the hole custom molded in the bottom. 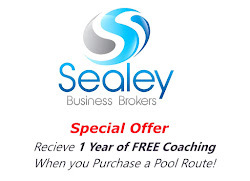 The basket is designed to last for years and comes with a one year no questions asked warranty. 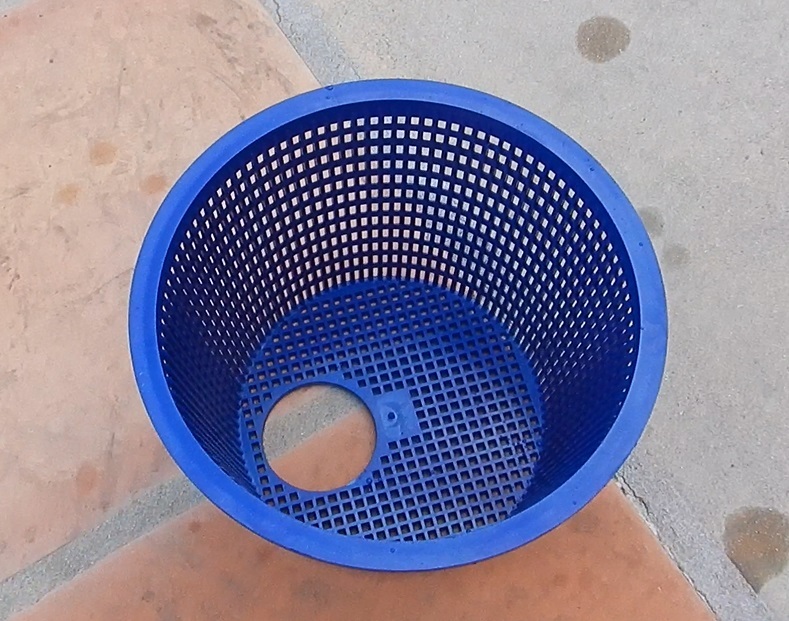 When you want to remove your cleaner and run your pool without it, you can simply store the Hole in One Basket with your cleaner and insert your pool’s original skimmer basket in its place. The Hole in One Basket will fit most standard skimmers. There are some exceptions so if you are unsure please contact us for assistance. Hole will fit a standard 1 ½” hose through it. Can I Use Clorox Bleach in my Pool? 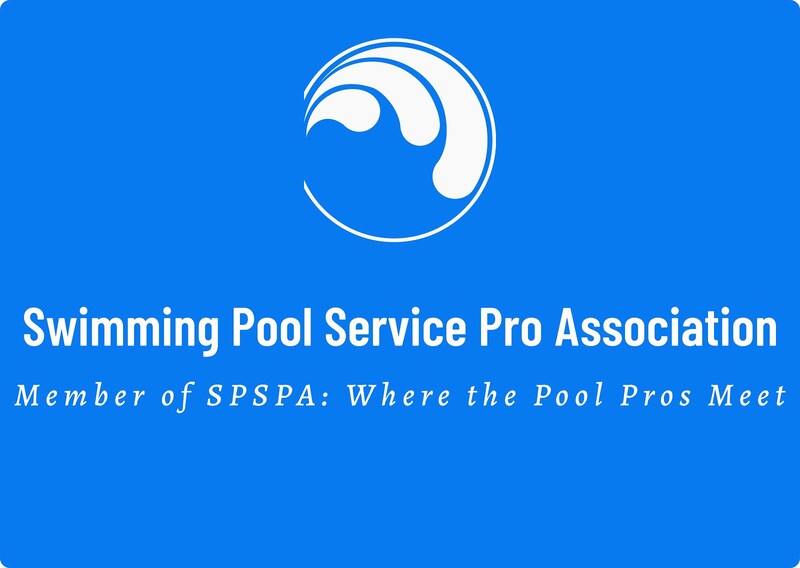 Who Makes the Best Pool Equipment -Pentair, Hayward, Jandy or Off Brands? 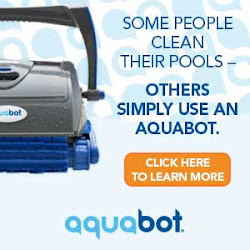 What Automatic Cleaner is Best for my Pool? Living Debt Free is the Way to Go!